April is National Poetry Month and to honor it the City of New York sponsors an annual Poem In Your Pocket Day (April 14th). 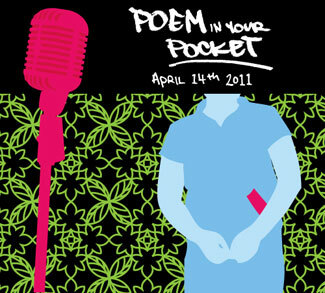 Click Here for the history and more information on Poem In Your Pocket Day. The Color Spectrum Mantra by SEAA teaching artsit, Mansa K. Mussa and Arthur T. Wilson, is the perfect poem to help us celebrate Poem In Your Pocket Day. Read the Color Spectrum below. AND SUCCESS COLORS MY IDENTITY! Posted on April 14, 2011, in SEAA, Teaching Artists and tagged Arthur T. Wilson, Mansa K. Mussa, PIYP, Poem In Your Pocket Day, SEAA. Bookmark the permalink. Leave a comment.